At least two sailors have been killed after a Saudi warship came under attack off Yemen’s coast. The Saudi military claimed it was a “suicide boat” attack, but an unnamed Houthi rebel source said the vessel was “destroyed” by an anti-ship missile. 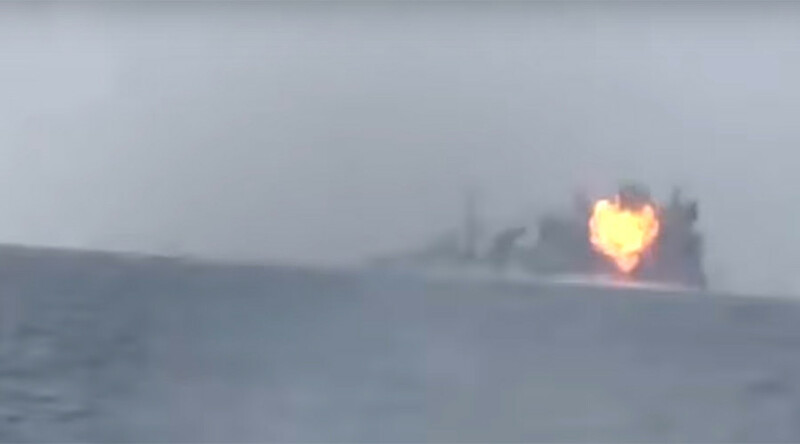 A video allegedly showing the moment of the attack on the Saudi warship emerged on Monday. The vessel, presumably one of the four Saudi Al Madinah-class frigates, was allegedly hit by a guided anti-ship missile, according to al-Masirah television network citing an unnamed source in the Yemeni rebel forces loyal to ex-president Ali Abdullah Saleh. The attack took place near the port city of Hodeida, 150 kilometers southwest of the Yemeni capital Sana’a, according to the source who said the ‘aggressor’s warship, involved in attacks on Yemeni “cities and fishermen,” was “destroyed” as a result. The so-called Command of the Coalition to Support Legitimacy in Yemen acknowledged the attack, but described the event quite differently. The frigate came under a “terrorist attack,” conducted by three suicide boats, according to a Saudi-led coalition statement. While the two rogue boats have been dealt with “as necessary,” the third one hit the ship near the astern, which resulted in a fire. Two sailors were killed and three injured during the incident. The ship continued its “patrol duties” after extinguishing the fire, according to the Saudi military. 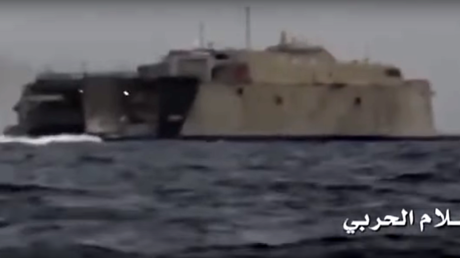 Back in October 2016, Houthi rebels claimed hitting United Arab Emirates’ HSV-2 Swift hybrid catamaran with an anti-ship missile and released a video, showing the moment of the alleged attack. The UAE military denied the attack on the ship or any casualties, but admitted that the vessel had been involved in an “incident” of sorts. Several days later another video emerged, showing that the catamaran remained afloat but was badly damaged during the “incident.” The vessel was reportedly deemed unrepairable and decommissioned. Saudi-led coalition forces unleashed an air bombing campaign in Yemen to support the exiled President Abd-Rabbu Mansour Hadi in March 2015. The campaign has thus far showed little military progress, but has resulted in over 10,000 civilian deaths, according to UN estimates. In addition, millions of Yemenis are suffering from a lack of basic necessities and are starving as a result of the strict naval and aerial blockade, imposed on the war-torn country by the coalition. The US, which is the major supplier of arms to Saudi Arabia, provided support to the blockade, halting and searching ships suspected of smuggling Iranian weapons into Yemen.